I am currently looking for a petite, cross~body bag. 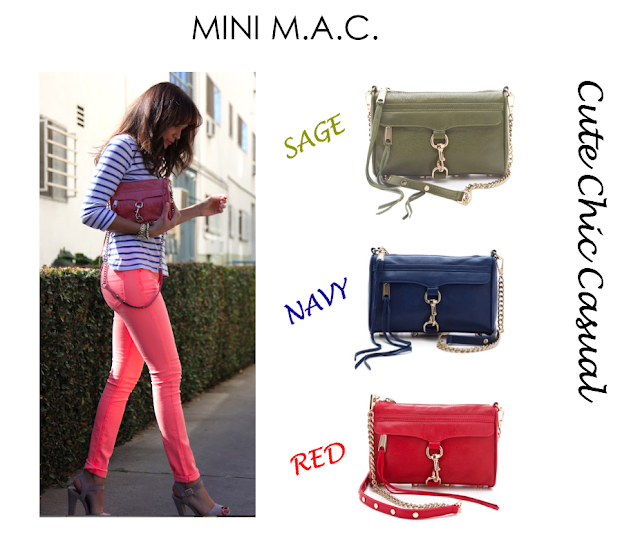 I have been looking everywhere, but I keep coming back to Rebecca Minkoff's Mini MAC bag. I love the colors (narrowed it down to three) , and the hardware. Also the size is perfect! The bag is ideal for winter, when you are all bundled up and your hans are just too cold to carry a purse! What more could a girl ask for!? Hey Sloane, I appreciate your taste. I like your collection. I also own a good collection of Rebecca Minkoff Bags and looking to add some more bags into my collection.